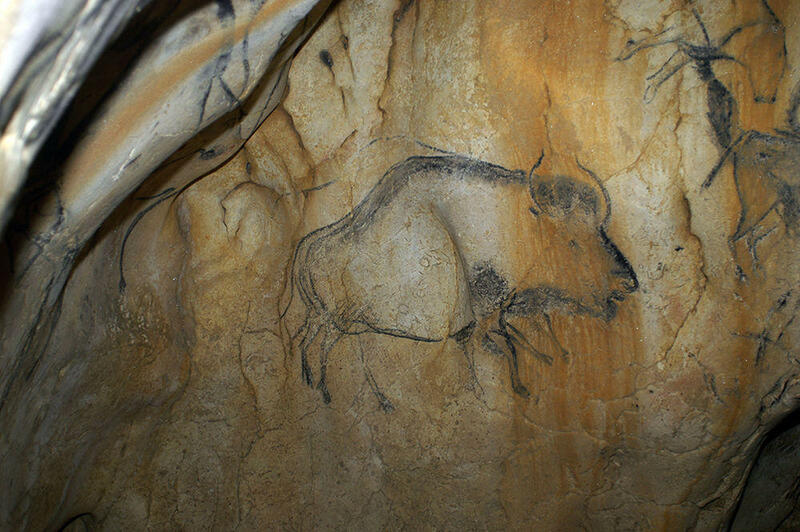 Clever detective work involving research on both ancient DNA and cave paintings from the last ice age has revealed a previously unknown species of hybrid bison, according to a new study. Researchers initially nicknamed the newfound bison the “Higgs Bison,” because, just like the once-elusive subatomic particle known as the Higgs Boson, the bison’s very existence had never been confirmed, and it took about 15 years to piece together data that proved its existence. Usually, hybrid animals aren’t too successful, mainly because the males tend to be sterile, said the study’s senior researcher Alan Cooper, director of the Australian Centre for Ancient DNA at the University of Adelaide in Australia. But the newfound hybrid bison did quite well for itself and its descendants, the modern-day European bison (Bison bonasus), which is also known as a wisent. The European bison are still alive today, he said. In addition, the discovery of the hybrid shows that the steppe bison, which was once thought to be the only bison in that region during the last ice age, likely competed with the hybrid species for tens of thousands of years, Cooper said. To solve the animal’s mysterious genetic background, an international team of researchers examined the creature’s remains — that is, its bones and teeth — which were unearthed from caves in Europe, the Ural mountains in Russia and the Caucasus mountains in Eurasia. Then, the scientists studied ancient DNA from 64 different bison, including the creature’s mitochondrial DNA (genetic material passed down through the mother’s lineage) and nuclear DNA, or DNA passed down from both parents. The evidence suggested that the creature was a hybrid, likely started by a female Aurochs and a male steppe bison, he said. Moreover, the hybrid animal’s nuclear DNA was about 90 percent steppe bison and 10 percent Aurochs, Cooper said. However, the researchers have yet to find a hybrid skull, meaning they can’t truly assess what it looked like and what it ate. One day, one of Cooper’s colleagues suggested that he look at the ice-age cave art that covers the walls of caves throughout Europe. That advice changed the trajectory of the entire project. One form depicted a bison with either long horns or large forequarters, much like the American bison, which is descended from the steppe bison. In contrast, the other form had shorter horns and small humps, much like the modern European bison, Cooper said. In an unexpected turn, the dates of the drawings, some of them 18,000 years old, matched the ages of the radiocarbon-dated bison bones, the researchers added. “The dated bones revealed that our new species and the steppe bison swapped dominance in Europe several times, in concert with major environmental changes caused by climate change,” study lead author Julien Soubrier, a postdoctoral research associate in the genetics and evolution unit at the University of Adelaide, said in a statement. In other words, ancient people drew the hybrid bison when it was thriving during colder, tundra-like periods without warm summers, and they drew the steppe bison when it thrived during different climates (which have yet to be determined), Cooper said. The hybrid bison’s descendant, the modern European bison, suddenly appears in the fossil record about 11,700 years ago, just after the steppe bison went extinct. In fact, the modern bison nearly went extinct during World War I, when just 12 individuals survived in the wild. Given that all of today’s modern bison are descended from these 12 individuals, they look genetically different from the hybrid bison, even though they’re likely the descendants of them, Cooper said. The study was published online Oct. 18 in the journal Nature Communications. Bison vs. Buffalo: What’s the Difference?